The rent at Whisperwood Apartments ranges from $675 for a one bedroom to a $880 one bedroom. Apartments in this building are about 11% less expensive than the Harrisburg average. This is a pet-friendly apartment. 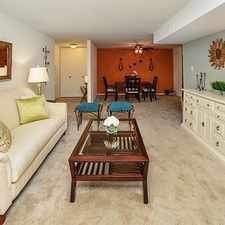 This apartment is in Harrisburg. Nearby parks include Little Valley Park, Veteran's Park and Penbrook Park. Whisperwood Apartments has a Walk Score of 41 out of 100. This location is a Car-Dependent neighborhood so most errands require a car. Whisperwood ApartmentsSusquehanna Township, HarrisburgNestled in quaint Susquehanna Township, Whisperwood Apartments offer all the benefits of city living, with extra perks that you don't have to pay extra for. We offer studio, one or two-bedroom apartments. Conveniently located, our Susquehanna Township apartments offer you plenty of options near downtown Harrisburg! Explore how far you can travel by car, bus, bike and foot from Whisperwood Apartments. Whisperwood Apartments has some transit which means a few nearby public transportation options. Car sharing is available from RelayRides. Whisperwood Apartments is in the city of Harrisburg, PA. Harrisburg has an average Walk Score of 73 and has 49,528 residents.